A graduate of the Universidad Santa María La Antigua and Franklin Pierce Law Center (now University of New Hampshire), Miguel De Puy worked for twelve years as a senior associate for the prestigious law firm Morgan & Morgan before opening his personal law practice. Mr. De Puy´s main field of expertise is Intellectual Property law, specializing in the registration and protection of trademarks, patents of invention, utility models, industrial designs and copyrights. He is an expert on trademark applications, nullities and cancellations and criminal actions against infringers. Mr. De Puy drafts contracts and trademark patent licenses, and handles matters regarding franchising and technology transfers. His practice area includes the filing and obtaining of approvals according to the local regulatory requirements, relevant for products such as for pharmaceuticals, cosmetics and food/beverages. Mr. De Puy is also experienced in real estate, corporate, tourism and immigration matters. Mr. De Puy has lectured for many years as an intellectual property law professor at his alma mater, where he wrote an highly praised thesis regarding Debt-or-Nature Swaps in Panama's legislation. He also holds regular seminars for customs personnel and other organizations. 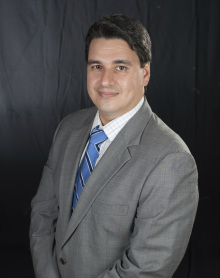 As a lawyer, he has been identified by Who´s Who as an expert in patents and trademarks in Panama and has been recognized for his work in business and international operations of intellectual property. Mr. De Puy is also a licensed real estate broker.